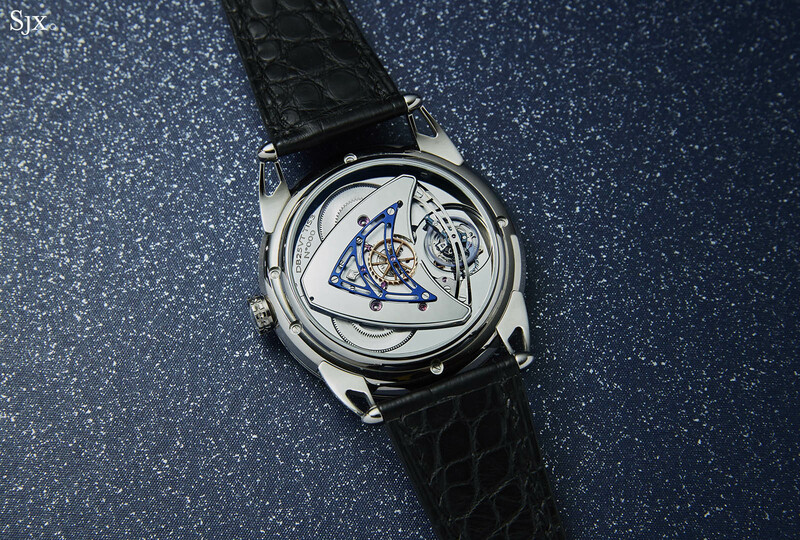 De Bethune watches proffer a cocktail of aesthetic and technical innovation like few others in horology. Since its founding in 2002, the brand has been fixated on perfecting the heart of the mechanical watch – the balance and escapement – through unorthodox design and combinations of materials like platinum and silicon. In fact, the company devoted an unusually high proportion of its resources to research and development (though that has been scaled back to a more economical degree under its current owners), which has resulted in a number of radical inventions. The recent DB25 Starry Varius Chronomètre Tourbillon combines a slew of De Bethune innovations and signature design elements, creating an impressive timepiece that won the chronometry prize at last year’s Grand Prix d’Horlogerie de Geneve, watchmaking’s equivalent of the Oscars. Despite the horological fireworks inside – a high-frequency and high-speed tourbillon with deadbeat seconds – the Starry Varius tourbillon is most discreet, with all of the mechanical complexity hidden beneath the blue, star-studded dial. A reference to the celestial motif on the dial, Starry Varius label was first applied to the time-only model launched last year. The DB25 Starry Varius Chronomètre Tourbillon, on the other hand, is a major complicated watch. It’s based on the DB25T Dead Seconds Tourbillon, one the longstanding, flagship watches of De Bethune. The watch starts with a polished titanium case that measures 42mm in diameter and 10.3mm high, which is smaller and thinner than the earlier generation of DB25 tourbillons. The size and mirrored finish of the case are reminiscent of precious metal, so the lightness of the case is an initial surprise. It is a big watch, and looks that way on the wrist, but it can be forgiven because the dial is beautiful and perfectly proportioned, right down to the size and length of the hands. And the movement inside is large and appropriate for the case size. Another improvement over the earlier DB25 case are the open-worked lugs. They were attached to the base of the case before, and consequently seemed a bit too delicate, but now are thicker and instead anchored to the middle portion of the case. Besides looking a bit more sturdy, the restyled lugs also make the watch appear thinner, since the thickness of the case back is below the lugs. 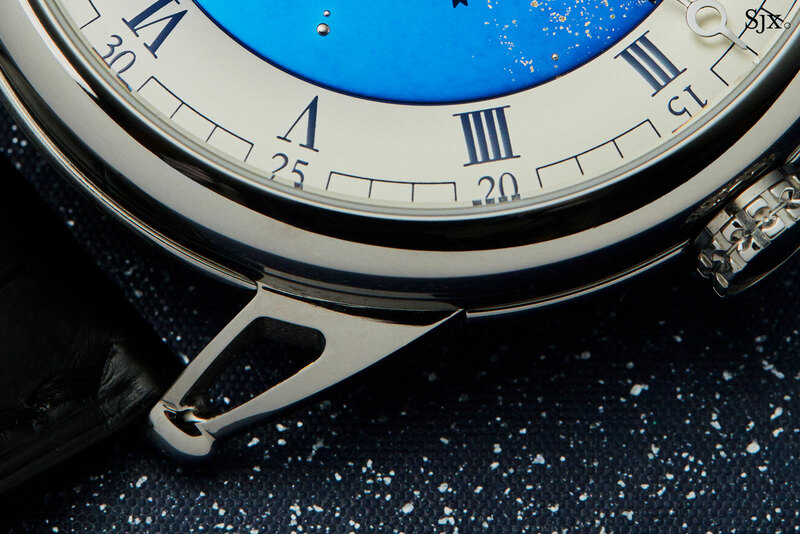 The dial of the Starry Varius tourbillon is, in a word, magnificent. 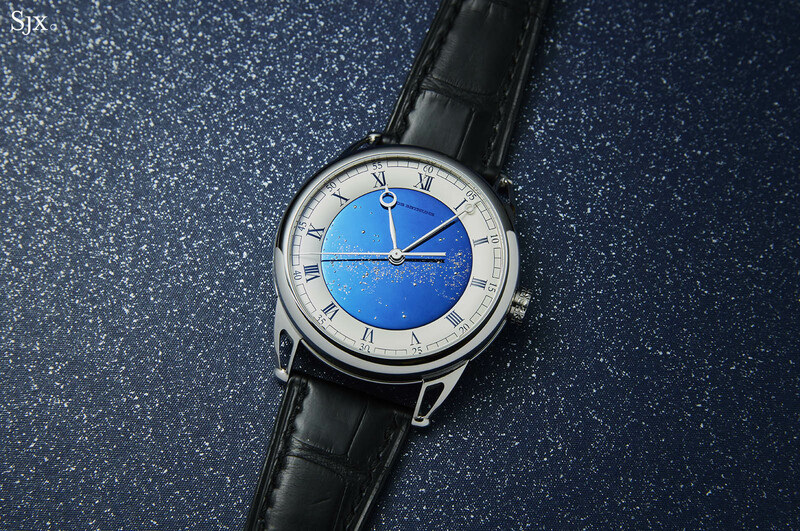 Quintessential De Bethune in style, the dial has an intense, electric-blue titanium centre set with tiny stars. 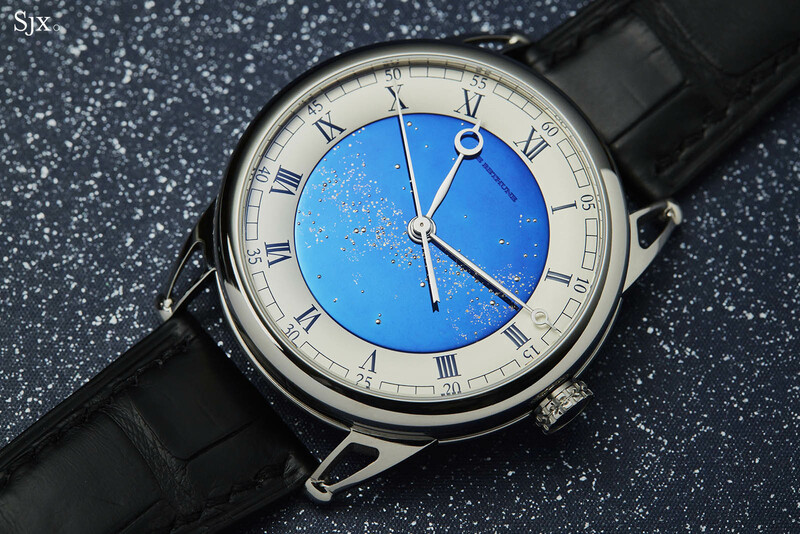 Each star is a sphere of solid white gold pressed by hand into tiny holes punched into the dial. The stars are scattered across the Milky Way, which is the result of a shallow laser engraving that is then covered in 24k gold leaf. The particulars of the night sky depicted can be customised according to the client’s location, with the default being the sky as seen from Geneva. Long the signature of the brand, the unique blue finish is neither paint nor a galvanic coating. Instead it is the result of traditional heat blueing, which is no easy feat – too much heat and the colour is too dark, but too little and the blue is not rich or deep enough. Notably, steel was the only alloy heat treated till blue in watchmaking, until De Bethune began experimenting with titanium. And because titanium is a particularly arduous material to process, heat blueing titanium involved the development of a whole new repertory of skills, which De Bethune pioneered in 2006 and since turned it into the brand’s signature. 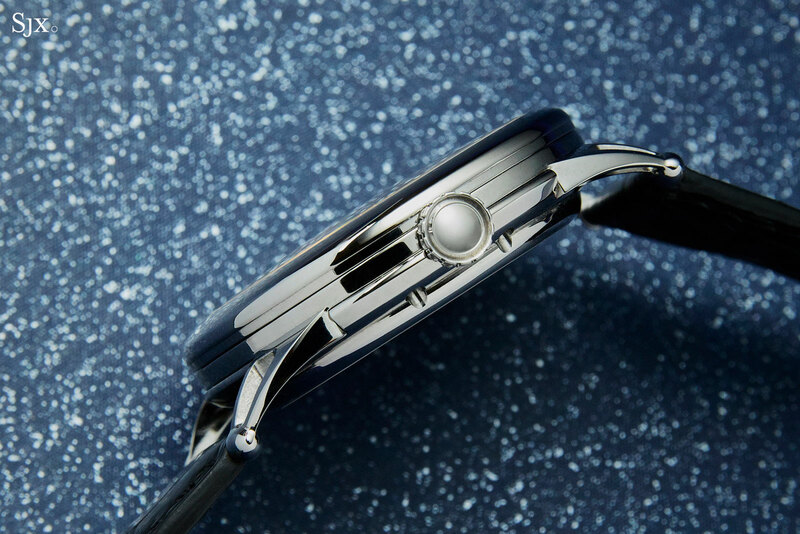 Now the brand even uses it for titanium watch cases, although the finish is fragile and prone to wear off with use, so keeping it within the confines of the case is the most sensible application. Circling the blue titanium centre is a sterling silver chapter ring with the hours and minute track. As with much of De Bethune’s watchmaking, it is inspired by 18th century pocket watches, giving a distinctly modern watch a pleasing classical twist – a favoured personal style of De Bethune’s co-founder David Zanetta, who has since left the brand. Notably, the chapter ring is untreated sterling silver, which means it will acquire a patina, albeit slowly since it is protected within the moisture-free watch case. The movement is the incredible, hand-wound DB2109V4, which boasts a total of five patents, all thanks to the brilliance of Denis Flageollet, co-founder and development chief at the brand. It has a four-day power reserve, thanks to the patented “self-regulating” twin barrels, both visible on each side of the delta-shaped barrel bridge. Notably, it uses fewer silicon components than earlier De Bethune movements, which is probably a good thing in the long term. 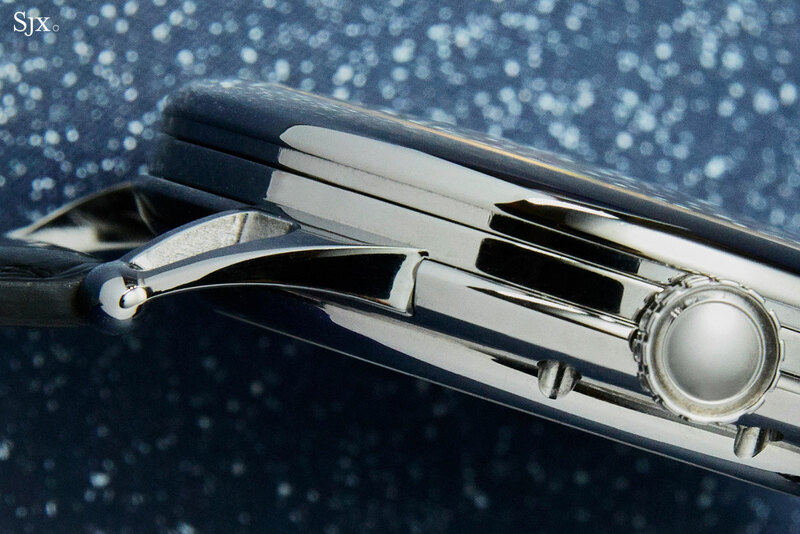 More striking than its technical features are the mirror polished titanium bridges and base plate. The surfaces are so highly polished the movement components appear to be attached to a mirror. Prominent above all else in the movement is the skeletonised, blue titanium bridge for the deadbeat seconds. Put simply, the movement has an additional escapement that causes the seconds hand to jump in one-second steps. The dead seconds escapement is comprised of a pair of solid gold, co-axially mounted fourth wheels, along with a tiny coiled spring and jewelled pallet. The pallet swings back and forth, releasing the wheels one tooth at a time, advancing the seconds hand in jumps. 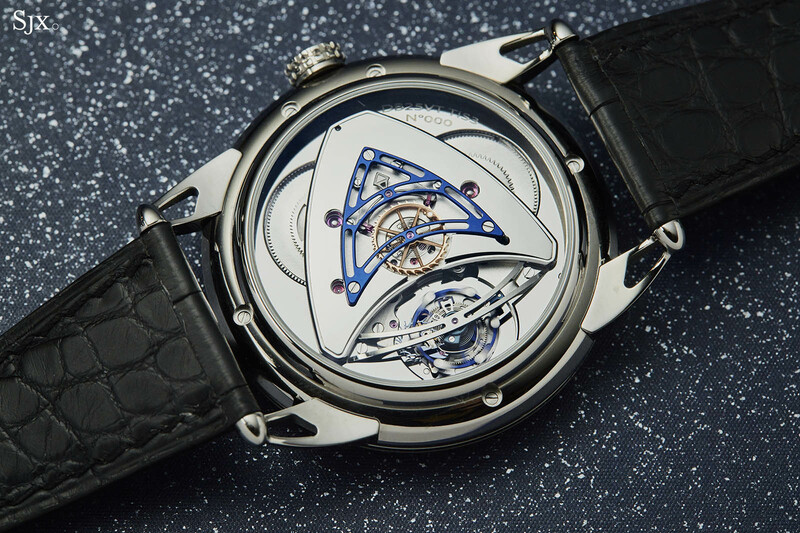 The tourbillon inside is De Bethune’s unique construction that’s both high frequency and high speed. It contains a balance wheel that oscillates at a frequency of 5Hz, or 36,000 beats per hour, abnormally high for a tourbillon. 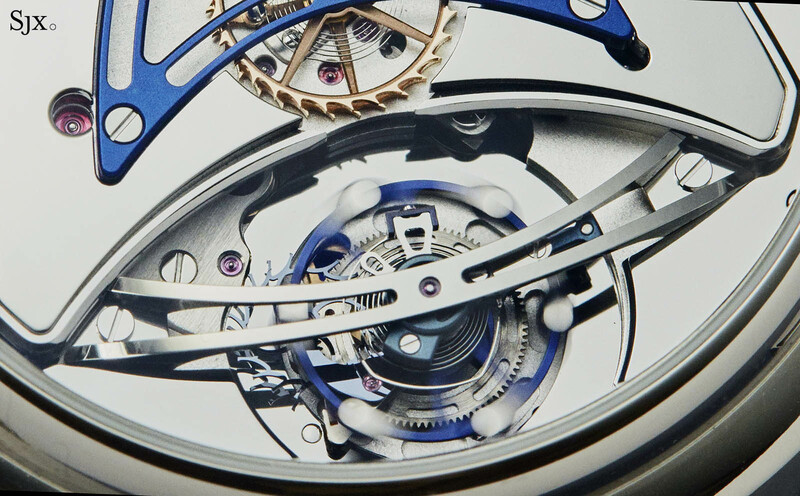 Moreover, the cage makes one revolution every 30 seconds, which is twice the speed of a conventional tourbillon. In contrast, most tourbillons rotate completely once every minute, and have balance wheels running at a slower 2.5Hz, or 18,000 beats per hour, because energy is required to both oscillate the balance wheel and rotate the tourbillon cage. De Bethune’s tourbillon is possible due to its extreme lightness, achieved with the use of modern materials – the cage and balance are in titanium (with white gold adjusting weights on the balance), while the escape wheel is made of silicon. 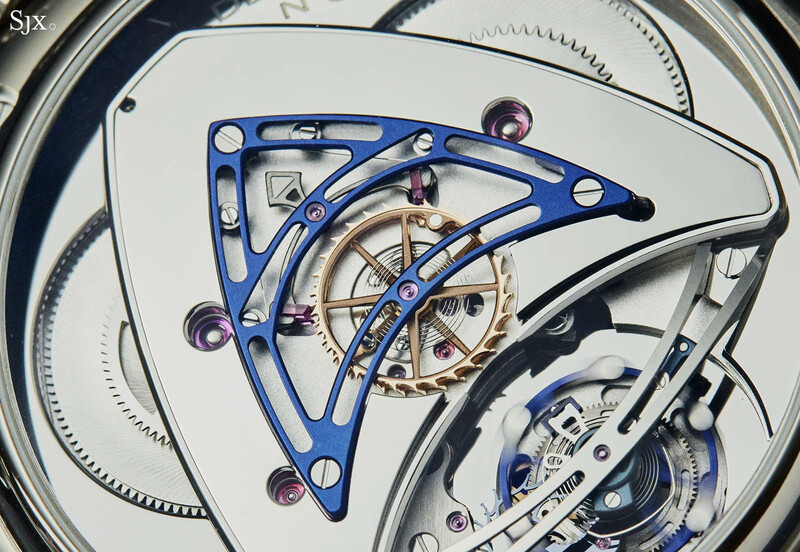 The high speed and frequency means high inertia and thus stable timekeeping, which translates into an on-the-wrist accuracy of within one second per day according to De Bethune. The hairspring, however, is made of Nivarox, the nickel-iron alloy use for nearly all balance springs in Swiss watches. But it is distinguished by a very particular terminal curve of De Bethune’s own conception. In contrast to the Breguet overcoil that is traditionally used in high precision watches, the hairspring is flat, but with a wider terminal curve, which reduces its height while enhancing concentricity. 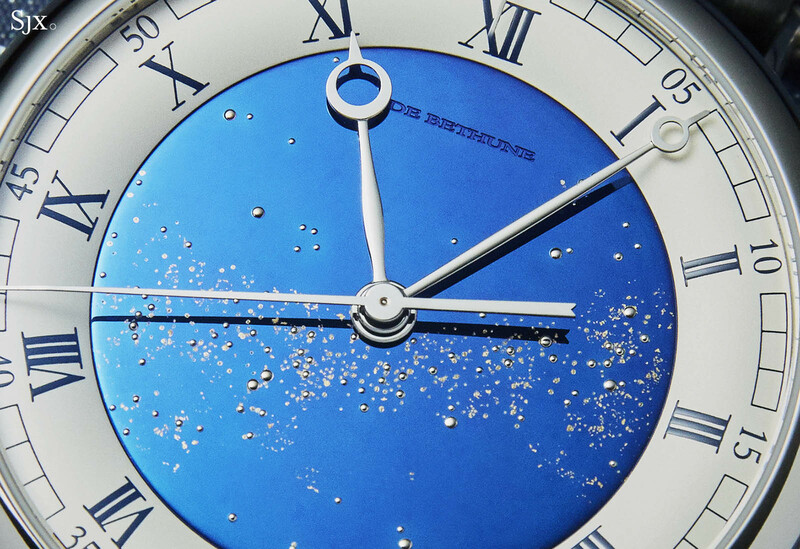 The Starry Varius doesn’t depart much from earlier De Bethune watches; it is more like a new combination of existing elements. But it is visually stunning and technically impressive. Watches like this are the reason why, despite its corporate travails, De Bethune is highly, highly regarded by aficionados. 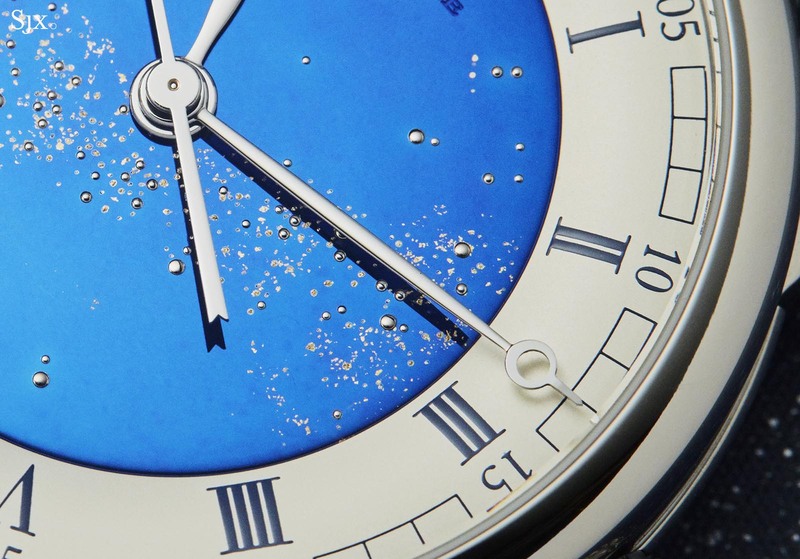 The De Bethune DB25 Starry Varius Chronomètre Tourbillon (ref. DB25STTIS3) is a limited edition of 20 pieces, priced at US$210,000. [Editor’s note: The DB25 Starry Varius tourbillon is a gorgeous watch and I appreciate the limited use of silicon – only the escape wheel is silicon – which helps its longevity since silicon components will probably be impossible to replace in the distance future if the company is no longer around. But let’s hope De Bethune sticks around for a long time to come; its watches are singular, both visually and technically.